I can honestly say that our Chariot was some of the very best money we invested in our children as far as being able to get outside and be active with them. We recommend them to everyone with children. Before you faint from sticker shock, please note that this could easily be the only stroller you need. 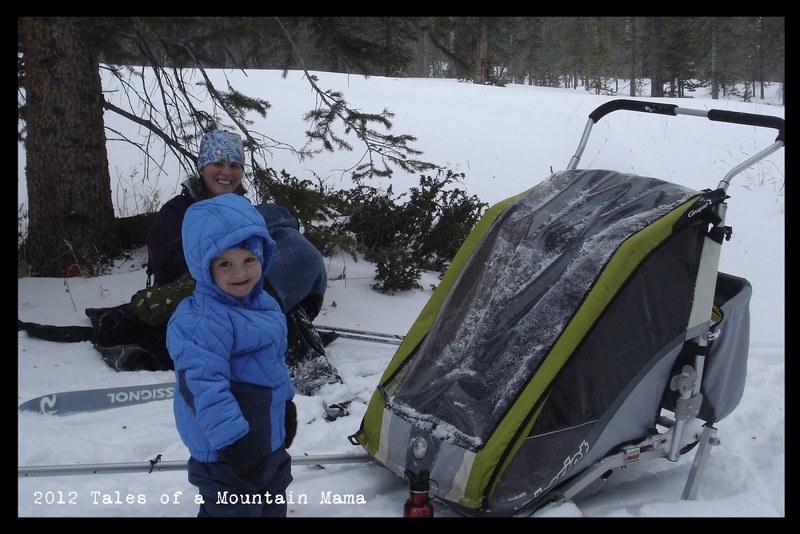 It works as a jogger (BOB strollers run from $400-$600 by themselves), bike trailer AND a solution for skiing. 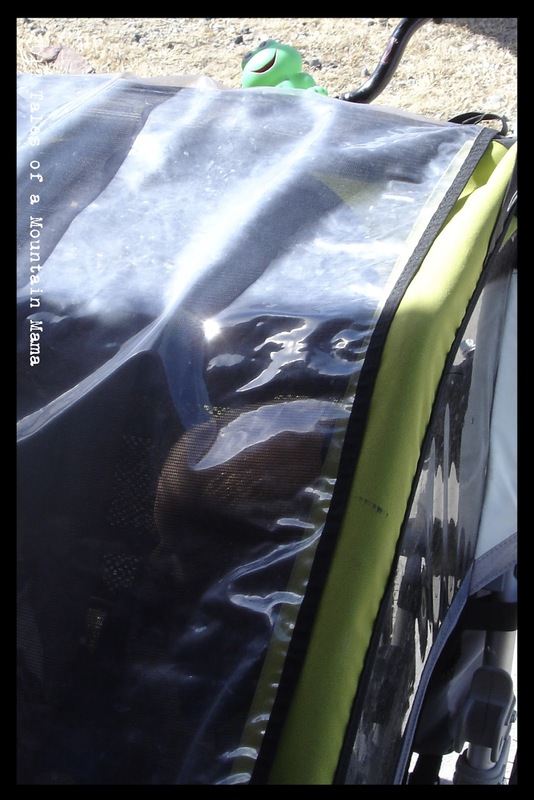 – Start with a double (ex: Cougar 2) and you very well may never have to buy another stroller. Before P was born, we easily packed groceries, gear, etc. around J. Now we just have to be a little more creative with our space! 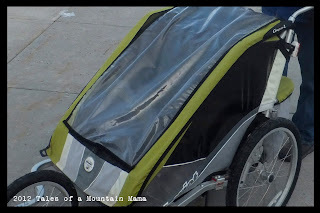 – An innovative harness system keeps the kids secure and protected from sliding dangerously down in the Chariot (which I have certainly seen happen in other bike trailers.) Additionally, you can buy an Infant Sling that we use for our kids until they are about a year old. It is basically a hammock for baby and they are comfortable and safe. – The customer service at Chariot is top notch. We had an issue with our cover and they sent us a replacement, free of charge. They stand behind their Limited Lifetime Warranty. – The switch between attachments is easy and quick (and you can store them on the Chariot itself.) Sometimes I will clip on the jogging wheel to the Chassis, ride my bike to town and then switch attachments for around town or a walk before switching back to bike home. – Like anything that does a LOT of things, it may not be the absolute BEST at all of them (though we certainly think it is right up there! Do you have a Chariot or a different system that works well for you? Disclaimer: Some of these links are affiliates. Hi Laura! Hmmm….the helmet J has is really adjustable, but he does have a big head… 😉 Check it out, though. 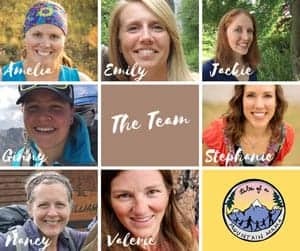 Here is a post I did earlier about helmets: https://talesofamountainmama.com/2012/02/wearing-helmets-all-year-long-wizbang.htmlI will keep my eye out, though, for other options and let you know! we love ours. we did have a problem with the glue coming undone and the fabric sliding off of one of the side/top bars. unfortunately it was something that they couldn’t really send a replacement for (well they did send us a replacement strip of glue, but it was impossible to pull the fabric up and tight enough to really repair it). but it doesn’t affect the function too much so we didn’t bother sending it back, which would have been super pricey. definitely worth it over all (we have the stroller and bike set up and borrow a ski set up for the winter) as it’s the only stroller/trailer/kid carrier we use. it’s like our other car! We LOVE our Chariot. We were lucky enough to score one used, a 2004 model, so I can attest to how they hold up over the years! We have the jogging, strolling, biking and skiing attachments. We use the jogging and ski attachments most. I love the fixed front wheel on the jogger – especially great for the rough terrain where we live – rocky beaches, rough trails and snow banks. Every time we go skiing I marvel at just how well-made the system is! I classic and skate ski, and both are equally comfortable. Certainly has to be tried to be believed. We’ve had to replace two parts, at a nominal cost of $10 each. We have the old knob-attached strolling wheels and one time I had them stored on the Chariot on a particularly bumpy trail and lost one of the knobs (not the wheel), and the quick-release mechanism on one of the back tires seized. I was surprised how affordable the replacement parts were both times). Thanks, Laura, for your input! And awesome yours is running strong after 8 years! 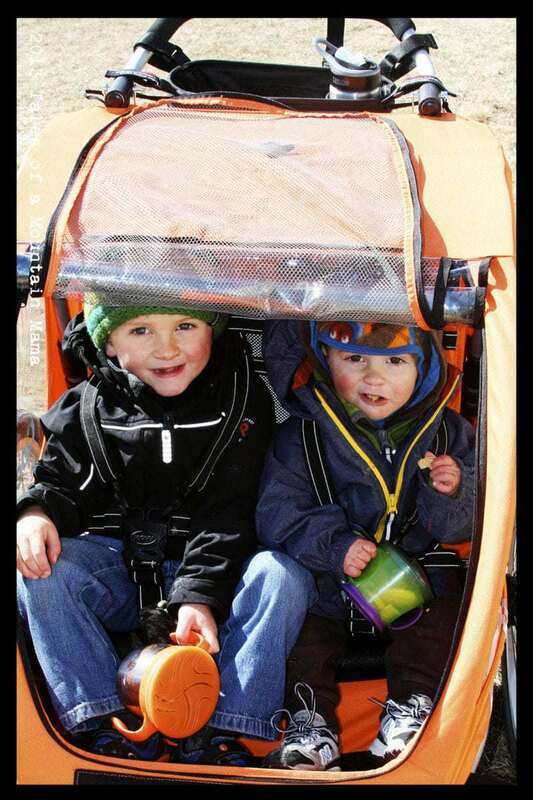 We have a Burley bike trailer with an optional stroller attachment. We’ve used it a lot as a bike trailer, stroller, and general gear hauler for park birthday parties and barbecues. It was great for concerts in the park even when our kids were way past strollers in general, because the kids could go to sleep in it and be rolled home easily. Where can i get a whole fabric body and weather gaurd top to bottom replacement on an older cougar 1 or a good price to pay to get it done? We actually had to get a new cover and Chariot replaced it for us (because it was a warranty issue.) I would definitely contact them first and they can direct you to the right people! I also know Rainy Pass Repair does some work, but not sure if they could do something like a Chariot. Good luck! Had the same issue with the glue failing as mentioned above. Anyone have a good solution? Looks like we need to glue Velcro to aluminum. The BOB has better suspension I would say, but we take our Chariot Cougar on unpaved roads all the time with no issues. Feel free to email me – maybe we can meet up and you can compare them in person! Hi Amelia and thanks for your excellent reviews! We live in Sweden. We are planning on buying a 2 kids chariot. We have an 8 month old girl and are hoping to get more children soon. We want to use it as a stroller in town (where we live) and will use it for biking as transportation (through town in the weekdays and for longer trips in the weekends as we have no car). We will also use it for jogging 2-3 days a week, not offroad but on dirt roads. Which one would you recommend for us? We would use it all year around -10C in winter and +25C in summer. Which extras would you recommend? Infant sling? Baby support? Rain cover? Bottle holder? Any other extras? 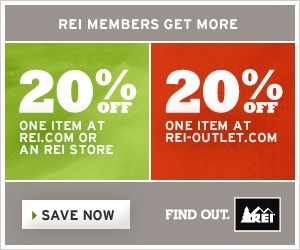 You’re welcome – glad they’re helpful for you! I would probably steer you towards the Chinook IF you want that front swivel wheel for ease of maneuverability around town. If you don’t really care about that, then the CX (if you can afford it). I love the CX because it’s a bit smoother for running, has that hand brake, still has side windows that can unzip AND you can use that infant sling in it. The infant sling was really key for us. 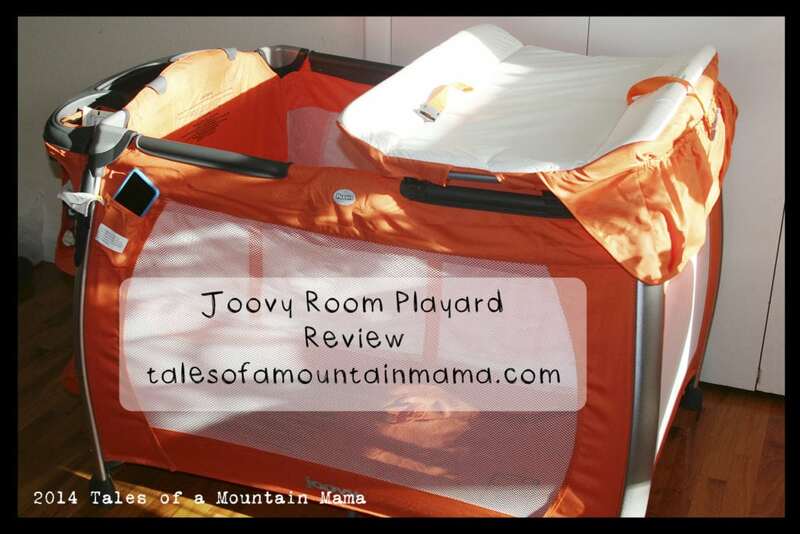 By 8 months, most kids don’t need it, but our kids stayed in it until almost a year old (they tend to be on the smaller side). It’s like a hammock and really cozies them in. However, it’s not available for the Chinook. As far as extras – infant sling for sure. Baby support is ok, but we prefer the infant sling and you can always tuck blankets around the child to be like the baby support. Rain cover we have never needed, but don’t live in a super rainy place. The bottle holder is nice, but again, not necessary. Hope that helps!Feel free to ask more questions! Hi. I am choosing between 2 chariot ages/models of the cougar 2. I’m trying to find the most waterproof option as we love in a rainy climate and it is our second vehicle. One is exactly like yours, the other is the previous era that doesn’t have a stretch edge to the top, and the screen and plastic flap start a little lower on the cover. Thoughts? Advice? Feel free to email and I can send pics. Hello, I find your review(s) very helpful. I am looking for your opinion on the strolling wheels on the Cougar 2. I am looking to use a trailer mostly for biking and walking around my hilly and sloped-streets neighborhood. I will occasionally use it for jogging in organized 5Ks, but not a ton of jogging. However, I am not a fan of the fixed front wheel while jogging (I can never get strollers pointed perfectly straight and feel I am always having to lift the front wheel and adjust while running). I much prefer a swiveling front wheel like the Chinook has, but am looking to spend in the range of the Cougar than Chinook. So my question is, how do you think the standard front strolling wheels that are meant for walking/strolling would handle an occasional 5K run (assume paved roads)? Hope the question makes sense and thanks in advance! Hi Maria – totally understand. The fixed wheel tends to drive me nuts too sometimes. So, as long as the roads are paved and smooth, you would be fine with the stroller wheels. Ours are chip-sealed and its way too bumpy for them – the jogging wheels is much better. You may just end up running with the front wheels up. So, if you’re willing to do that, it will be fine (and MUCH easier to use in tight areas!) Does that help at all? Really enjoying reading through this blog. My wife’s big concern is being able to transfer the kid from the car to the chariot using the car seat. I see that you advocate the infant sling but I would imagine that is a little bit more hands on and thus you would have a higher likelihood of waking the child. Is this a realistic concern or just a nice to have? I have also read that there is the option to have a car seat add on to some of the chariots. This comes with the 1st year of life conversion kit from what I’ve read? Any comments on whether this is useful at all? Do you know whether this car seat add on is available with the Cougar / Chinook / CX models? That is totally true about the transfer….honestly we usually are on longer walks rides so Baby is waking by the end. And, while Thule doesn’t suggest it, I would totally bike on smooth roads with a baby in the sling, but NOT in a car seat adapter on the top. AS far as I understand, the 1st year of life only works with the Chinook….but let me look into it a little more!!! Wondering how long you used the sling for with your infant. I have a 4 month old and I don’t expect to put her in one until 6 months, do you think the infant cushions are a good investment. I don’t think the sling will be necessary for her by then. We put our kids in it from about 2 weeks – 10 months. It really depends on the kiddo, but I think it’s amazing for even just a few months. Once they are sitting on their own, etc., I think you can do what you need to do with blankets and gear to prop them. In 4 kids, we have never used the cushions. Hope that helps! I know this is an older post, but I’m running out of people to ask about the stroller wheels for a cougar 2. 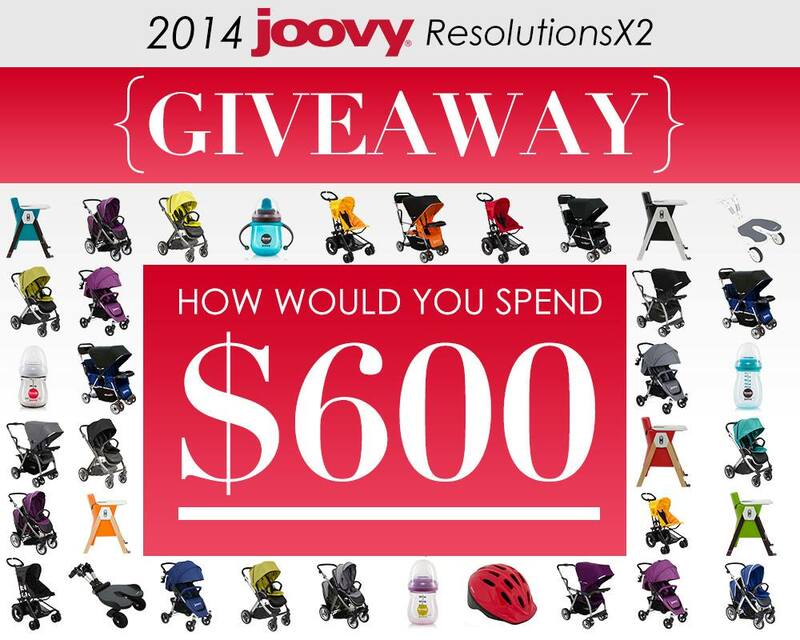 Do the swivel stroller wheels get used enough to justify purchasing them? The lightly used one I just purchased came with bike and jogger attachments. I live in an area where the roads are chip sealed and the sidewalks aren’t maintained. Does having the extra maneuverability make it that much more useful with multiple kids spaced a couple years apart? Hi Jessica! Honestly, I don’t think so. I ONLY use them for super smooth streets or if I know I am going to be in a really busy public crowd. You’ll be great with your jogging wheel! I have (& LOVE) the single Chariot Cougar & used it everyday with my then 11 month old until he turned around 2. 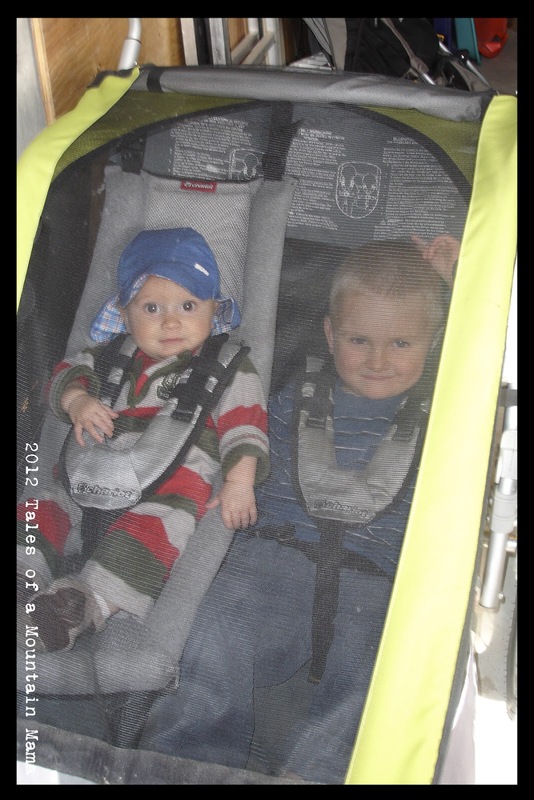 Now, 7 months later, i am considering getting the Chariot Cougar 2 for jogging with both him, now 2.5, & my 5 month old. I know i need the dbl jogging attachment and it sounds like I need the infant sling attachment, per your recommendation for my daughter. My question is: about when/what size was your kiddo when he/she grew out of the stroller? I’m trying to justify the price! But I have GOT to get out of this house! I really loved how my son could have blankets, snacks, water, toys, etc in there with him and if he didn’t feel like holding it all or he fell asleep, all the “stuff” was just kind of at the bottom of the stroller. My son is average size right now. 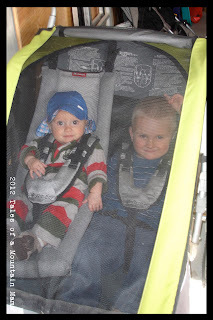 I’m hoping to get at least 2 years worth of use out of the stroller, so do you think a 4.5 year old and a 2.5 year old would still fit in the Cougar 2 together comfortably? Thanks in advance!